That cover, is so beautiful. It does what the cover for the first book in this series did for me, it caught my eye. But as the saying goes, don’t judge a book by its cover. I try not to reveal anything about plot lines and the stories themselves when I review, especially when it is a sequel because people may not have read the first one yet. I am also not cruel about an author’s work. 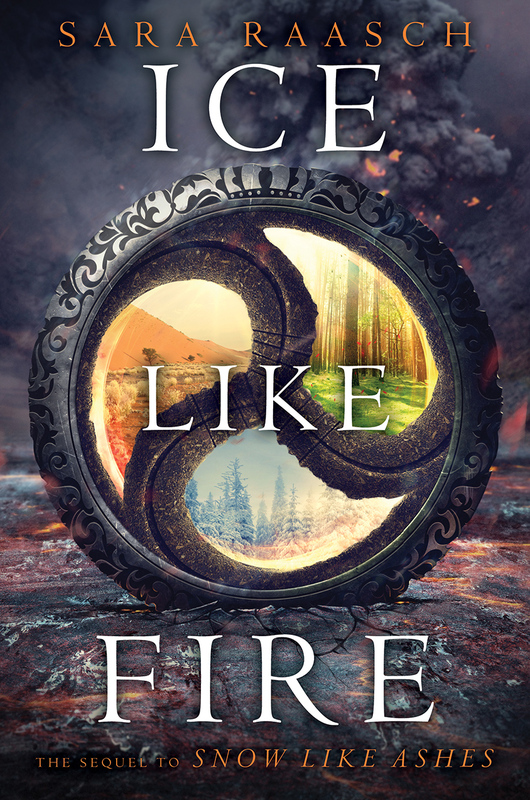 Ice Like Fire is written by Sara Raasch. It is the sequel to Snow like Ashes. I love fantasy novels. It is definitely my favorite genre. I love stories of magic and Queens and Kings. Stories of battles and epic travels. So I when I picked up the first book in this series, I thought with all the hype it was receiving, I was about to find my new favorite series. That didn’t happen. I didn’t hate it, I just didn’t get excited about it like I thought I would. Was the story unique? Not particularly, no. Was it horribly written? No, not at all, but I just couldn’t get into it, I didn’t hate it either. I was curious where the story would go, hoping with all my booknerd hope that the sequel would bring the story up a notch. I received the digital ARC about a week ago from the publisher. I am so appreciative that more and more publishers are giving me these opportunities, but I have to be honest in the end about how I feel. Unfortunately Ice like Fire was not entertaining for me. What I am about to write may seem spoilerish, but believe me, it happens right from the beginning, I am not spoiling a thing. There’s this magical item that is supposedly impossible to find,it is super important to the story and the plot and again it is supposed to be impossible to find but HOLY CRAP!!! it is found within the first few chapters of this book. Such luck. I feel like this could have been moved further into the story, and there could have been more character building done, which this story kind of lacks. I don’t root for, nor do I care about a single character in these books. This is shocking on my end because when it comes to fantasy, I have favorites, and I love them till the very end. Not here. I really just don’t care what happens to them, and that’s probably why I did not enjoy the book. This story is not unique. We have seen it now in 100’s of books. Amazing girl who doesn’t know she’s amazing, two guys wanting her love and attention, and some kind of magical element. This is the YA fantasy formula. The writing is good, but the story just doesn’t really capture my heart like I hoped it would. I was really hoping that the sequel would redeem the story, sad to say that for me it did not. I am sure this book will still be loved and praised by many, but I won’t be one of those. Book is out October 13th! It gets 2 out of 5 metal horns from me. I hate books like that, because you know they could have been good. They should have been good. the potential was there. They’re just….not. It’s the worst!! I really had high hopes for these, but the covers are cooler than the actual books. I don’t know if the writer was rushed to release the next book or what but I was bored the entire time.